Great spot! Right by the action! 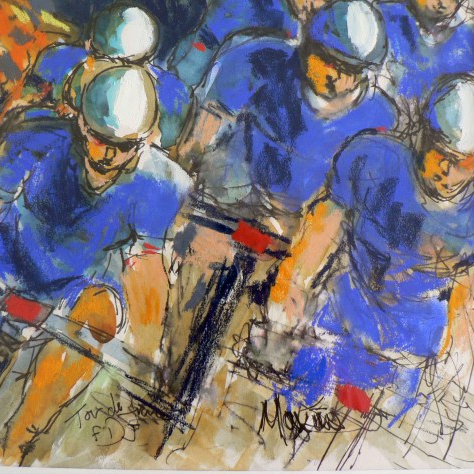 Wonderful watercolor images of the race. I love to zoom in and look at all of your details of the painting and sketching. Getting bright & sunny again, like the polka dot. Very much enjoying watching Teklehaimanot in yellow – lovely image that one. I enjoyed watching this stage with a bottle of wine from Fougeres too!